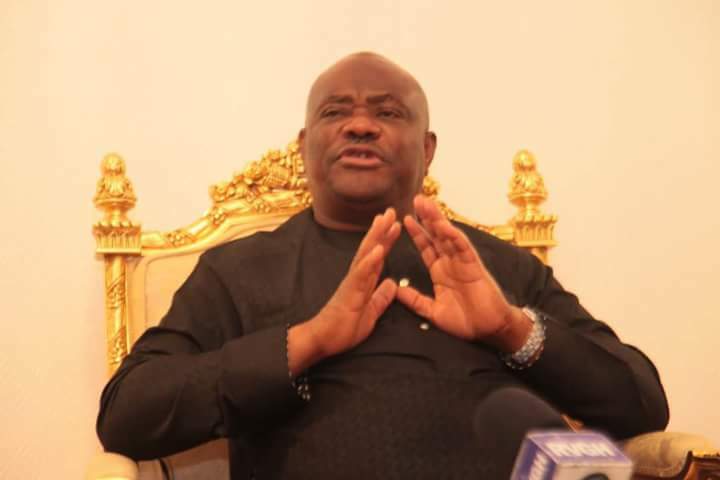 Nyesom Wike, Governor of Rivers State, has called on the international community to disregard the “threat” issued by Nasir el-Rufai, Governor of Kaduna State, on his possible interference of the 2019 elections. In an interview aired on Tuesday, el-Rufai had threatened that if there was foreign influence in the 2019 elections, such foreigners would leave the country in “body bags”. However, Wike has urged the international community to disregard the threat, and called for sanctions for the Kaduna governor. Speaking at the Peoples Democratic Party (PDP) campaign rally at Ngo in Andoni Local Government Area on Thursday, Wike said: “We want to call on the international community not to be afraid. They should not be deterred by the so-called threat by el-Rufai. They should come out and monitor these elections. If anybody rigs, they should sanction Nigeria. They should start first by imposing sanctions on el-Rufai. They should cancel all his visas. “In 2015, the international community monitored the elections and Jonathan lost. He did not fight and handed over peacefully. He said that his ambition was not worth the blood of any Nigerian. These elections must be free and fair. “el-Rufai is afraid because he knows he has nothing to account for his stewardship in Kaduna. That is why he can open his mouth to attack the international community. I want the international community to disregard this threat by El-Rufai as empty.